Graystone is a residential neighborhood in Hampstead, North Carolina. This small, cul-de-sac community offers peace and quiet in a great location in Hampstead. Residents enjoy large wooded surroundings, which block traffic noise from surrounding roads in addition to providing beautiful scenery. 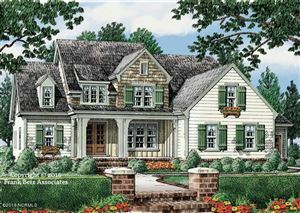 The community has a diverse group of homes from which to choose with brick, stone, wood, and composition exteriors. Click on the listings below to see pictures, features, amenities, school information, and more. Interested in viewing a home or have questions? Please don't hesitate to contact us. We can help you with this community or any other in the Greater Wilmington real estate market.